When LIGO announced the first observation of gravitational waves (GW) on February 11, 2016, we were given a whole new way to understand the Universe. For most of the history of astronomy, light was the primary medium we used to study astronomical objects. Just this past October, the LIGO team announced that they had detected gravitational waves from the merger of two neutron stars. This event (GW170817) was particularly important because it had been localized to an approximately 30-square degree area of the sky—much smaller than previous GW events—and, as the merger of two neutron stars, was expected to produce light. This allowed astronomers like Mansi Kasliwal to follow up and discover an electromagnetic (EM) counterpart to the event. Kasliwal is a professor at California Institute of Technology (Caltech) and one of the astronomers who has been studying the EM counterpart of the neutron star merger. She will be giving a plenary talk at AAS 231 titled “Illuminating Gravitational Waves” which will discuss her recent research on the electromagnetic counterparts of GW events. Even now, months after the discovery, astronomers are still working on explaining GW170817. When we spoke, Kasliwal was especially excited to see that the radio light curve for the event was still rising. This was something predicted by a new model—called the ‘cocoon model’—that she and her colleagues had come up with to explain the data from the first six weeks of observations. To see that the observations match what they had predicted has been especially rewarding. Kasliwal refers to herself as a “time-domain astronomer” and while she considers “anything that the Universe presents that is time-variable” as “fair game”, she is most excited about “rare, new classes of transients.” She says that time domain astronomy will only continue to get more exciting as our survey capabilities increase and we inevitably discover new objects. However, she also stresses that in order to know what is new and exciting we have to understand what is normal. As an undergrad at Cornell, Kasliwal worked with Jim Houk and Richard Lovelace. Jim Houk had built one of the spectrographs on the Spitzer Space Telescope, which was launched in August 2003, while she was an undergrad. With the influx of new data, the group was “making discoveries every day” and she realized that astronomy was an “amazing” area of research that was “very ripe for the discovery of very simple questions.” This atmosphere of discovery inspired her to continue onto graduate school at Caltech. 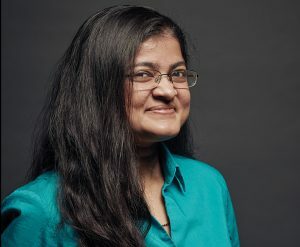 To learn more about Kasliwal’s work and her passion for discovery, check out her plenary talk Friday January 12 at 8am at AAS 231.